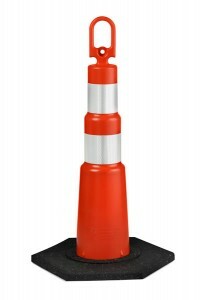 Boulevard Supply is a distributor of the popular 42″/49″ stackable orange construction cones commonly seen in work zones and construction zones all over the United States. These channelizers meet NCHRP-350 certification and MUTCD standards. 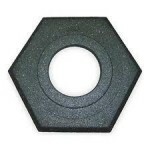 Channelizers are commonly referred to as… looper cones, loop top cones, loop top channelizers or loop top delineators. 42 inch (49″ including loop top handle), Cortina Grip N Go Trimline channelizers are also available in White, Blue or Yellow at additional cost. High quality 28 inch orange cone. The Navigator channelizer traffic cone from Plastic Safety Systems, Inc is ideal for roads and freeways.